Use them as loose feed, in PVA bags or scald them and mould them around method balls to give excellent attraction. 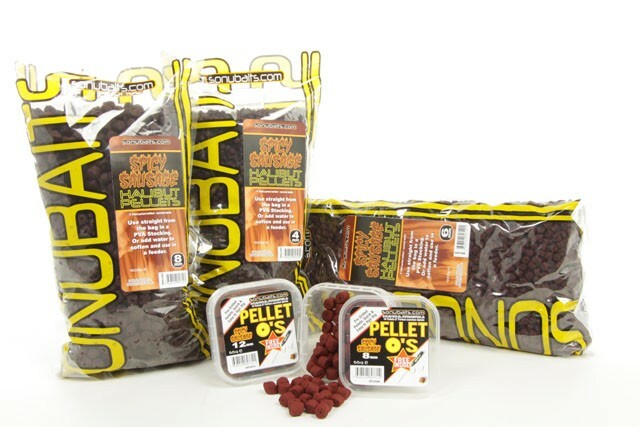 Sonubaits Spicy Sausage flavoured Halibut pellets are the ideal complimentary feed to use with Hali-Hookers! Halibut pellets are the modern day barbel anglers first choice of bait when fishing for barbel, they seem to work on every river they are used on. Spicy Sausage is one of the all time great barbel flavours accounting for many specimens. By combining the flavour of Spicy Sausage and Halibut pellets we have created a bait which has already proved to be a success on rivers throughout the UK & Europe. Once in the water these pellets provide a scent trail full of attraction which pulls fish towards the hookbait from downstream.